Thank you to everyone who signed up for our newsletter and to all of our customers of this past year. In return, we are offering free ground shipping on orders over $50 with code FS2018-5. Codes expire December 17, 2018. 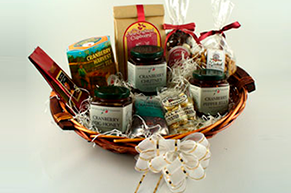 Here are our latest new products and specials for the holidays. The Boston MBTA Green Line Trolley ornament measures 2.5" tall. $25.95 Over 40 unique New England ornaments. 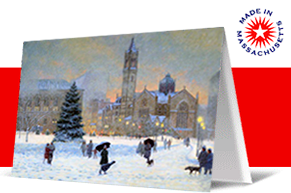 Holiday cards featuring fine art with Boston and New England scenes by local artists. Imprinting available. Download our holiday card flyer.